From 30 April to 02 May 2016, The Grand Ho Tram Strip will be transporting guests through space and time into the Mad Hatter’s Wonderland where an amazing fairy-world is ready to welcome all comers. The Queen of Hearts awaits. The Cheshire Cat is grinning in anticipation, as a world of cosplay gives our guests a chance to escape their daily lives. In addition, there are various exciting activities such as Face Painting, Balloon Art, Life-size Games, Treasure Hunt, Giant Twister and Beach Races for guests to enjoy between 30 April and 02 May. 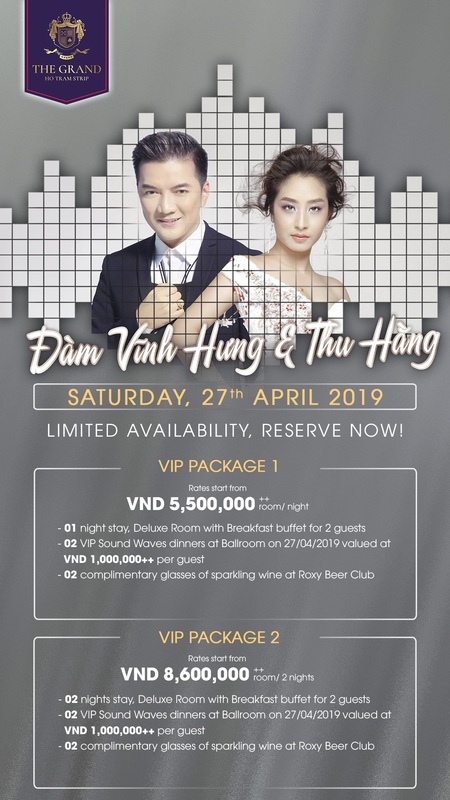 At night, a live acoustic show will take place nightly with an elaborate setup so that guests can enjoy Tia Hai Chau, Thao My, Bao Quan, Dona Amelia, the star singers grace the stage with their vocal acrobatics. All is complimentary for everyone celebrates the Holidays at The Grand Ho Tram Strip.